Without having to curl, be a virtual fundraiser for K4K and help us reach our objective! Not able to curl but still want to fund-raise and take part in the brand new iSupportK4K campaign - Register as a fundraiser. This is the 21st anniversary of Kurling for Kids so join us, tell your story, and share why you support K4K! Click HERE to register as a fundraiser. 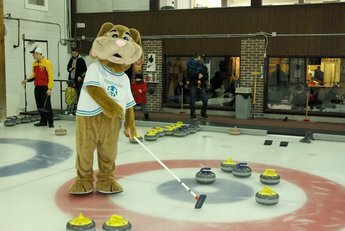 Fundraisers won't actually curl at a curling club. In fact you can raise money all online! And there aren't any registration fees for fundraisers! Who are Kurling for Kids Fundraisers? A K4K Fundraiser is someone who isn't curling at a K4K event but still wants to do their part in raising money to improve the health of sick kids. It can be anyone - your family, neighbours, colleagues, friends; the possibilities are endless. We encourage participants of all ages to register as a fundraiser. All you need is a desire to raise funds and help sick children. All fundraising incentives and online registration contests are available to K4K Fundraisers. All you have to do is register as a fundraiser, skip the fees, and start fundraising! All participants (curlers AND fundraisers) raising $300 or more individually will be automatically entered in a draw for a chance to win a round-trip flight for two to any regularly scheduled Delta USA destination, including Hawaii, courtesy of Delta Airlines! Fundraisers will receive one ballot upon reaching the $300 milestone and an additional ballot for every $300 raised above and beyond, to a maximum of four ballots. As well, raise $300 or more and you can choose from 10 great gift cards, or select the Give Back option to redirect the value of these gift cards towards the purchase of hospital equipment.